Now that Finn has Escaped, he thought everything would be different, but the Realm outside is no paradise. He’s supposed to be a long lost prince, but doesn’t remember anything about his past — and out of nowhere, another boy has appeared, claiming to be the very same prince. With no way to prove his claim, he, Claudia, and the scholar Jared can only hope to restore communication with Incarceron and find the missing Warden. Things inside Incarceron aren’t stable, either. Attia and Keiro realize Finn either can’t or won’t get them out, and search for their own Escape. 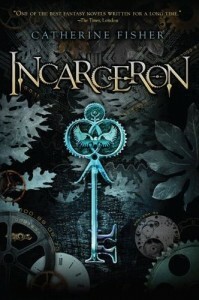 And even Incarceron itself is changing, seeking an Escape… but how can a prison escape itself? 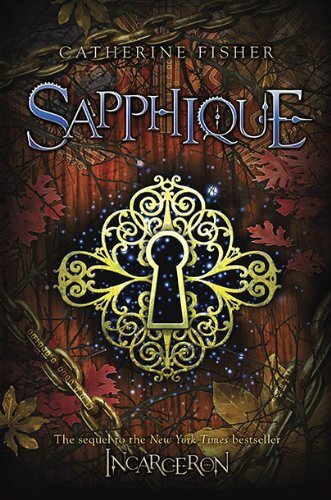 And exactly who, or what, is Sapphique? This is the end of the series, and I can’t discuss it without spoilers, so beware! Uncut spoilers under the cut. Incarceron is a prisoner unlike any other: it is alive, and holds thousands of prisoners inside it, in a bleak, ever-changing, deadly landscape. Finn awoke inside with no memories, but is sure he came from somewhere else — even though most other prisoners don’t believe the Outside even exists, or that Escape is possible. Claudia is the daughter of Incarceron’s warden, soon to be married to a prince. 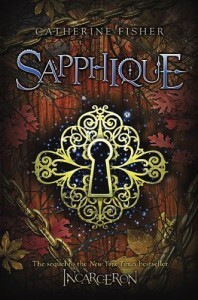 Caught up in a web of intrigue and not sure who to trust, she searches for her father’s key — and through it finds Finn. Desperate, she’s sure Finn is the only one who can help her, and she’s certainly the only one who can help him.